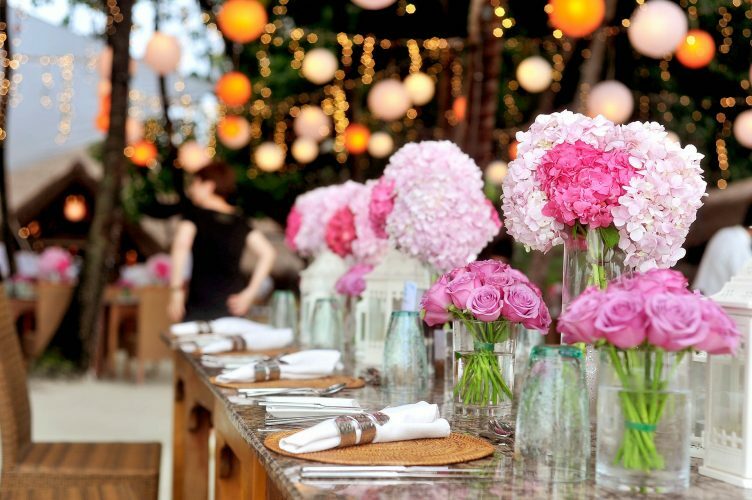 You can decorate the meal table with items like flower vases or candle holders to match the grand event. It’s ideal to pick a flower that represents the event, so in this case, you can use roses, lilies, tulips, orchids, sweet peas and many others. Normally each Asian culture has their flowers that they tend to use for the event. For instance, the Chinese cultures often use lotus flowers or lilies while Indian weddings tend to use the chrysanthemums. Each tradition can use their items or furniture that represents their culture. For example, a Chinese wedding would use an object like a vase that’s designed with Chinese art. They would also use some props like an umbrella lantern or firecrackers. Mandap is required for Hinduism or Islamic weddings. The mandap is beautifully decorated before the ceremony where the bride and groom would be seated. Mandap is normally designed with lots of bright colours, traditional furniture, silk and plenty of flowers all around.